Solution room 22 of free downloadable Christmas Bound game. You can download the free game here: Christmas Bound. Or go back to the solutions page. 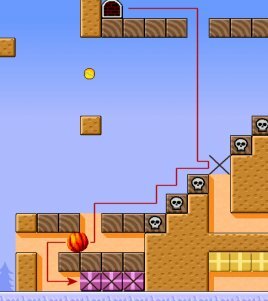 Level solution for level 22. 1. 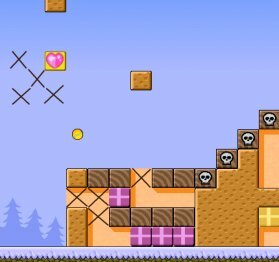 Destroy the four marked blocks using four hearts. 2. 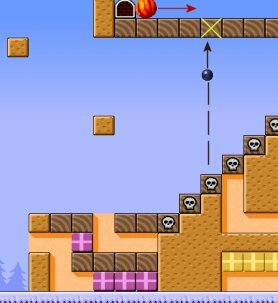 Take the last heart and destroy the marked block when the pumpkin is coming from the left. 3. The pumpkin will fall down and destroy the skull that blocks the path going down. Then it will roll to the left and destroy the remaining purple parcels.